Etsy… the home of motivational prints, cute mugs and ALL the stationary. So essentially every 20 something basic girl’s dream, or mine at least. 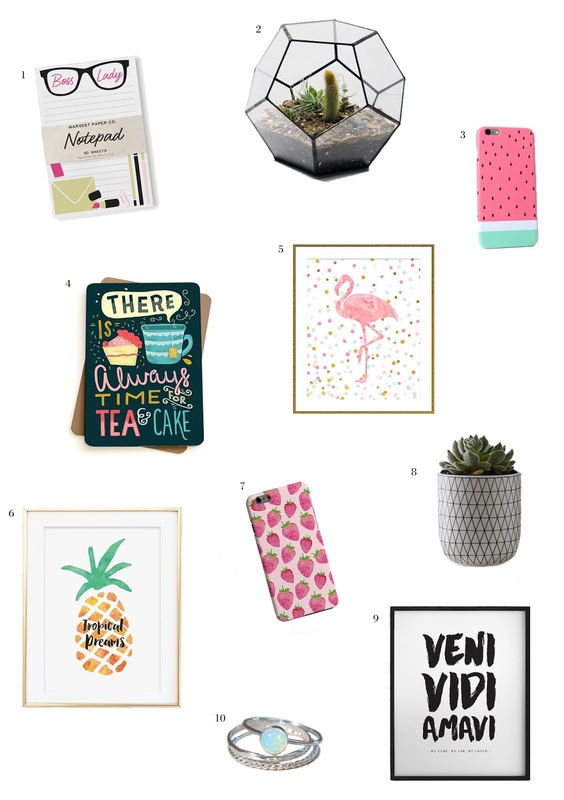 I’ve collected my current faves for you to lust over/ go crazy on payday so at least you can write your ‘beans on toast’ shopping lists on the best paper around, naturally. If you’ve found anything a-mazin’ on Etsy recently, share some links in the comments so we can be enablers together.